Titled Drogas, Skulls, and Roy. UPDATE: 12/25/15 12:59 a.m.: According to the below tweet, the second and third albums will be titled Skulls and Roy respectively. 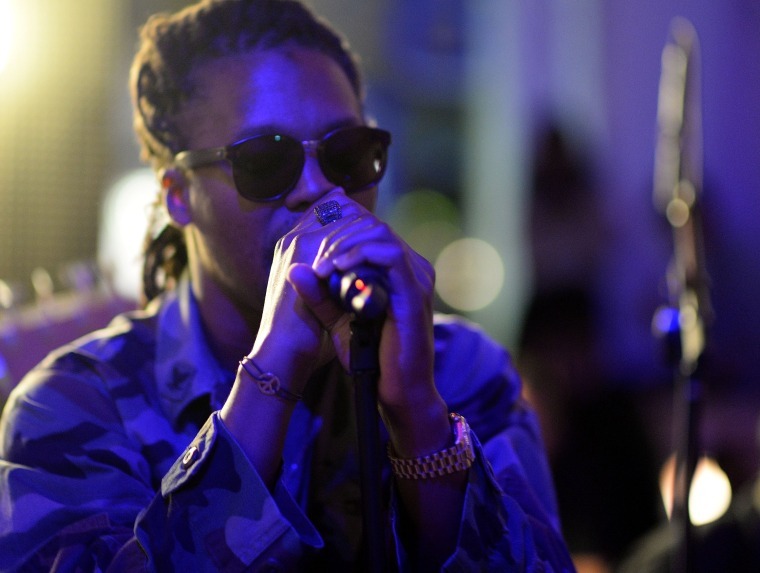 Earlier this year, prolific rapper Lupe Fiasco released his album Tetsuo & Youth in January and another mixtape Pharaoh Height 2/30 in August. In 2016, Fiasco claims he'll be even more ambitious, tweeting that he plans on dropping three full albums in the span of one year. Although he claims that he won't be taking any questions about the projects just yet, he's already dropping hints about the future albums. Our first two clues: the first LP will be called Drogas, and the first single called "Mural Jr." is going to give us lyrical life. Lupe Fiasco's 2016 #TourForTheFans kicks off on January 13 in Seattle. Get tickets here.